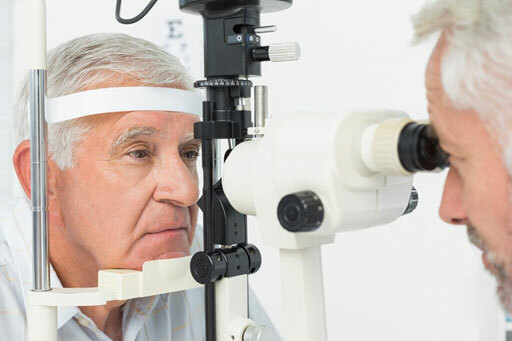 Aging can take a toll on many of your body’s functions, including your eyesight. If you are over 65, have your eyes examined regularly by an optometrist, especially if you’d like to enjoy sharp vision for the years to come. During your eye exam, your optometrist may put drops in your eyes that widen your pupils so that they can examine the back of your eyes. This is the only way to detect some of these age-related eye problems that have no early signs or symptoms. Presbyopia, or age-related long-sightedness, is a slow loss of near vision. It often causes headaches and eyestrain. Floaters are tiny black or gray specks that drift across your vision when you move your eyes. They are a normal part of the aging process, but sometimes they are a sign of a sight-threatening eye problem, such as retinal detachment. Cataracts are cloudy areas in the lens that cause blurred or hazy vision. Most cataracts develop slowly and do not affect your eyesight early on. Left untreated, they grow and interfere with normal vision. Dry eye syndrome occurs when your tear glands do not work properly. It may cause your eyes to feel itchy and uncomfortable. Glaucoma is a build-up of pressure inside the eye. This pressure can damage the nerves that carry visual information from your eyes to your brain. Left untreated, it can lead to permanent vision loss. Age-related macular degeneration is a deterioration of the macula, the central part of the retina. It is a leading cause of vision loss among people age 50 and older. Diabetic retinopathy may occur if you have type one or type two diabetes. It often develops slowly and can have no warning signs. Low vision is a loss of eyesight that makes everyday tasks, such as reading, writing, watching TV and driving, difficult. It cannot be improved with eyeglasses, contact lenses, medicines, or surgery. However, vision aids, such as magnifying aids and large-print reading materials, can help make these tasks easier. 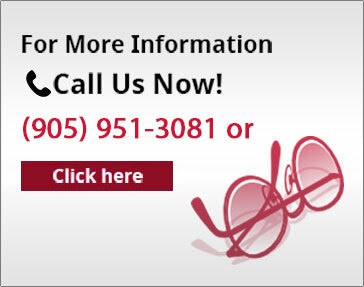 Regular eye examinations are your best protection against eye problems as you grow older. A Bolton optometrist, like those from Bolton Vision Centre, can also offer treatments for early signs of vision problems.